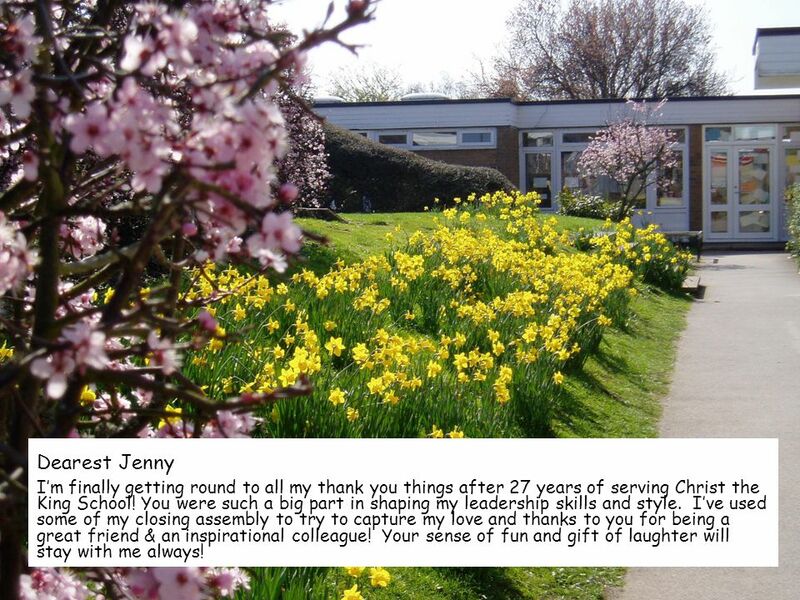 Dearest Jenny I’m finally getting round to all my thank you things after 27 years of serving Christ the King School! You were such a big part in shaping. 1 Dearest Jenny I’m finally getting round to all my thank you things after 27 years of serving Christ the King School! You were such a big part in shaping my leadership skills and style. I’ve used some of my closing assembly to try to capture my love and thanks to you for being a great friend & an inspirational colleague! Your sense of fun and gift of laughter will stay with me always! 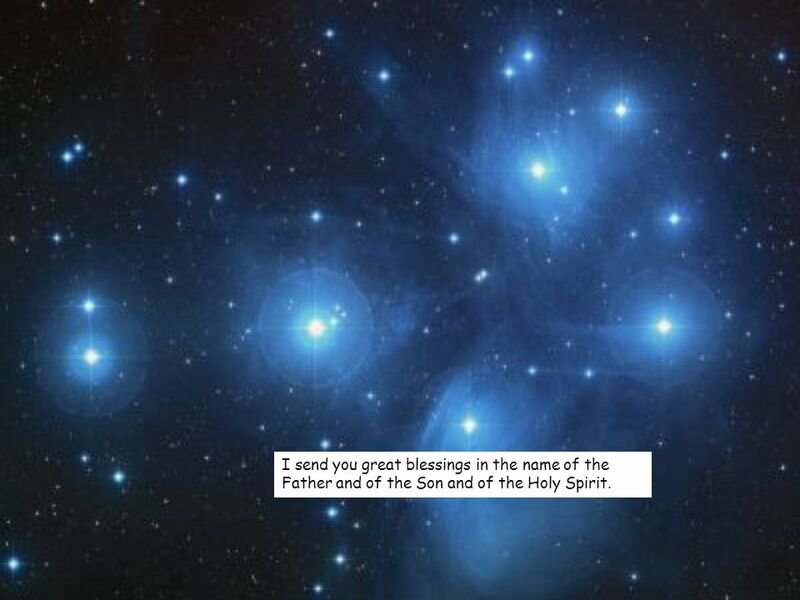 2 I send you great blessings in the name of the Father and of the Son and of the Holy Spirit. 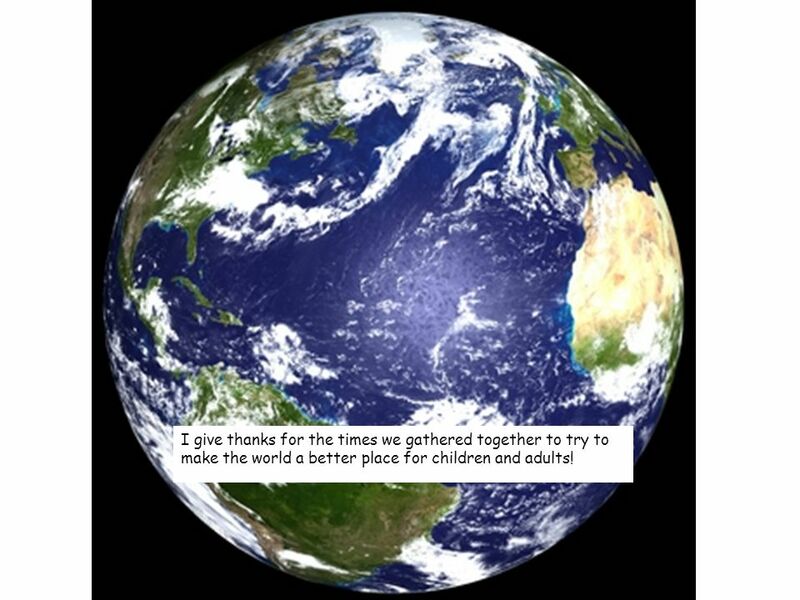 3 I give thanks for the times we gathered together to try to make the world a better place for children and adults! 4 It’s a real joy to have some time to think and to pray for you, to remember the good times that we have shared through all the joys and sorrows of life! 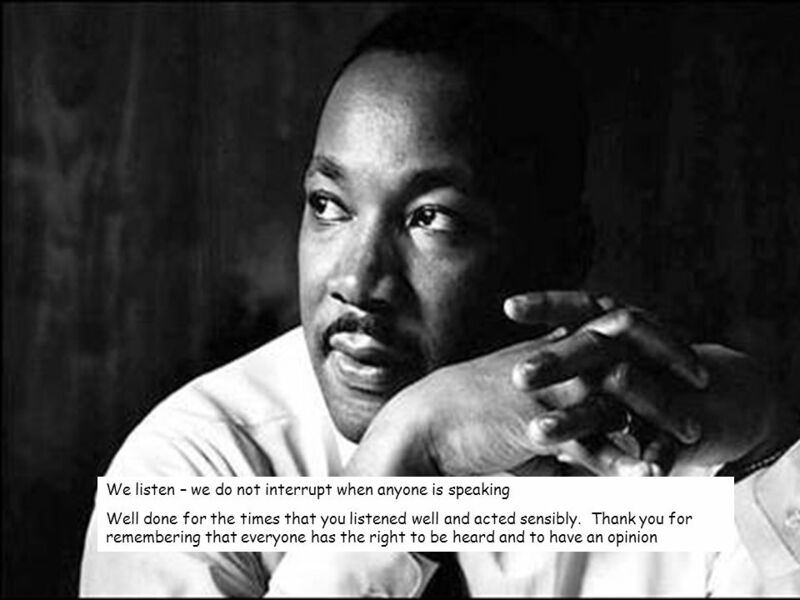 5 Thank you for all the times that we were able to make good choices and keep the Golden Rules. 6 Your gifts of humanity and humility inspire all who meet you. 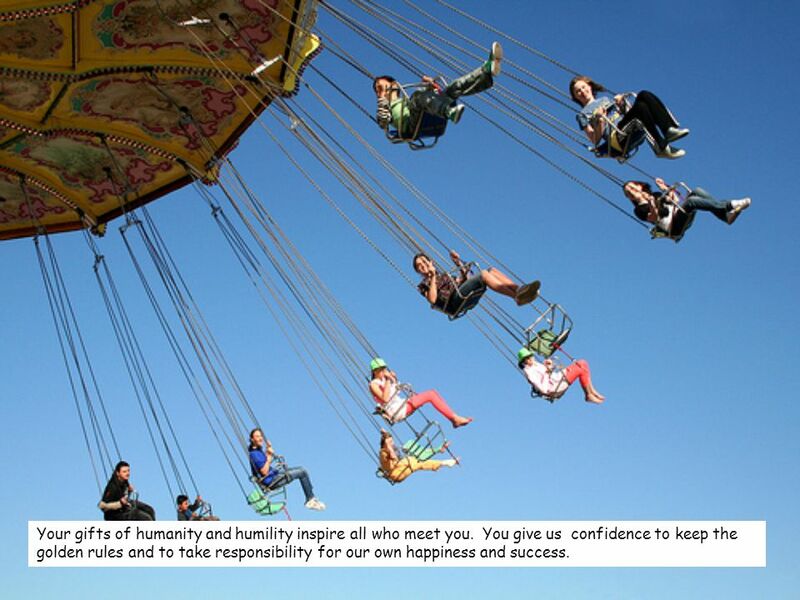 You give us confidence to keep the golden rules and to take responsibility for our own happiness and success. 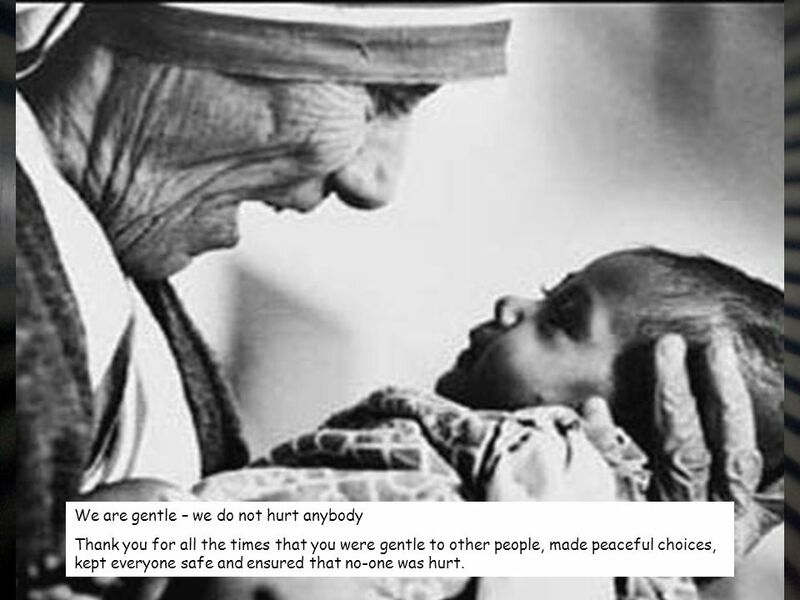 7 We are gentle – we do not hurt anybody Thank you for all the times that you were gentle to other people, made peaceful choices, kept everyone safe and ensured that no-one was hurt. 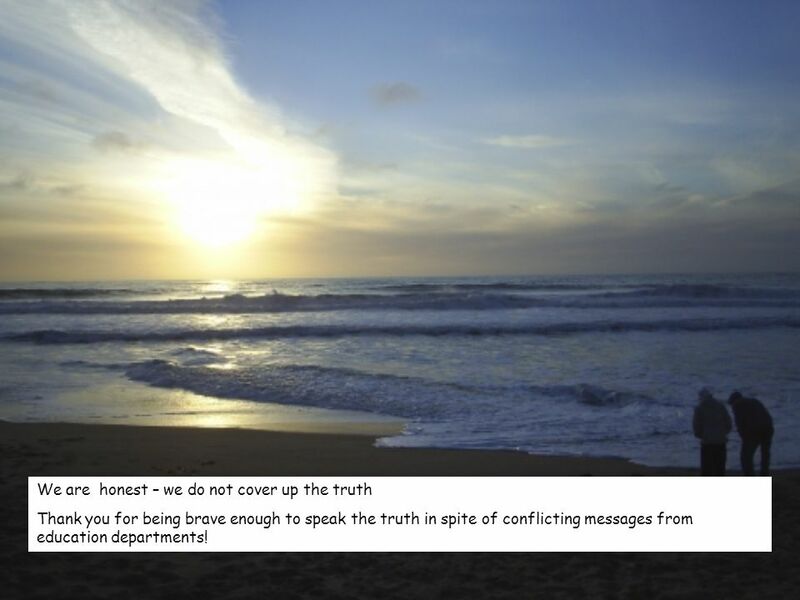 8 We are honest – we do not cover up the truth Thank you for being brave enough to speak the truth in spite of conflicting messages from education departments! 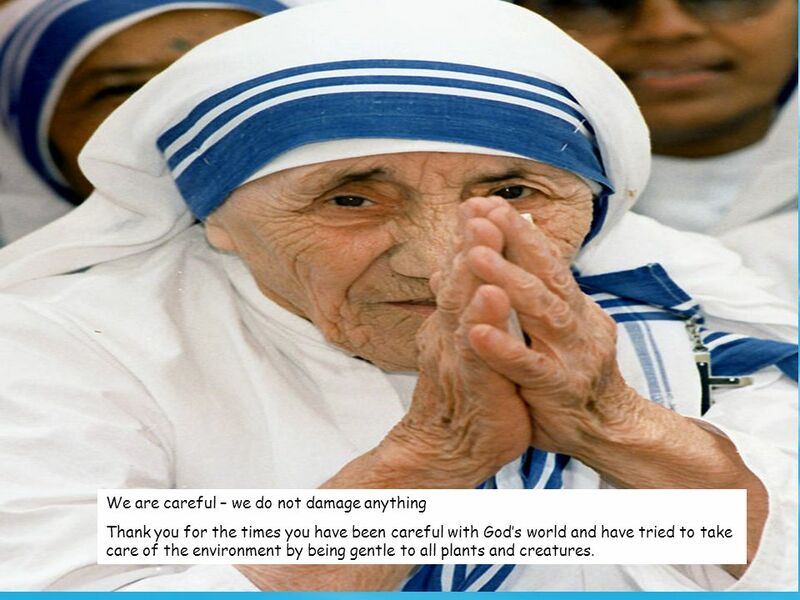 10 We are careful – we do not damage anything Thank you for the times you have been careful with God’s world and have tried to take care of the environment by being gentle to all plants and creatures. 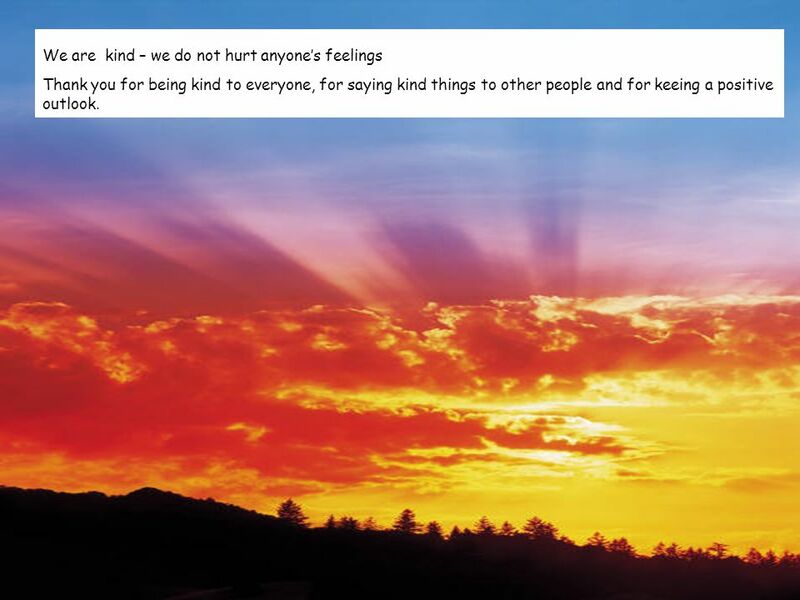 11 We are kind – we do not hurt anyone’s feelings Thank you for being kind to everyone, for saying kind things to other people and for keeing a positive outlook. 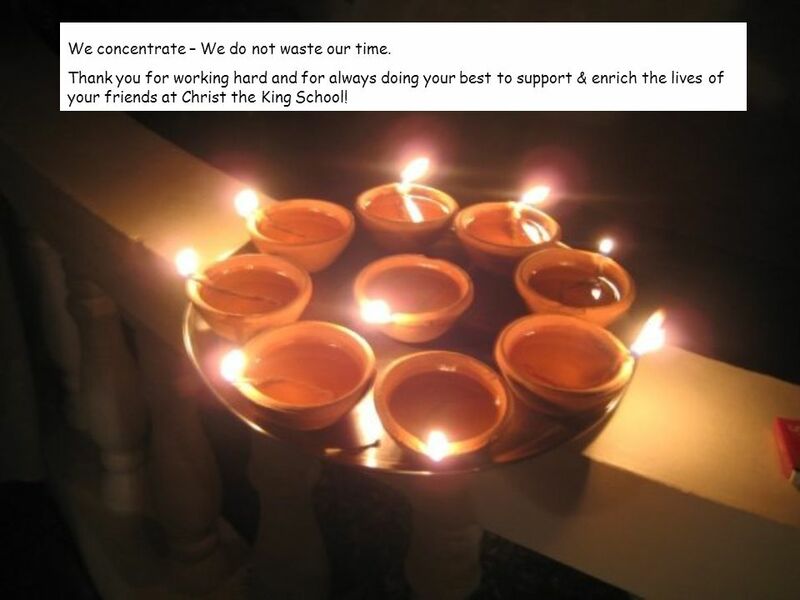 12 We concentrate – We do not waste our time. Thank you for working hard and for always doing your best to support & enrich the lives of your friends at Christ the King School! 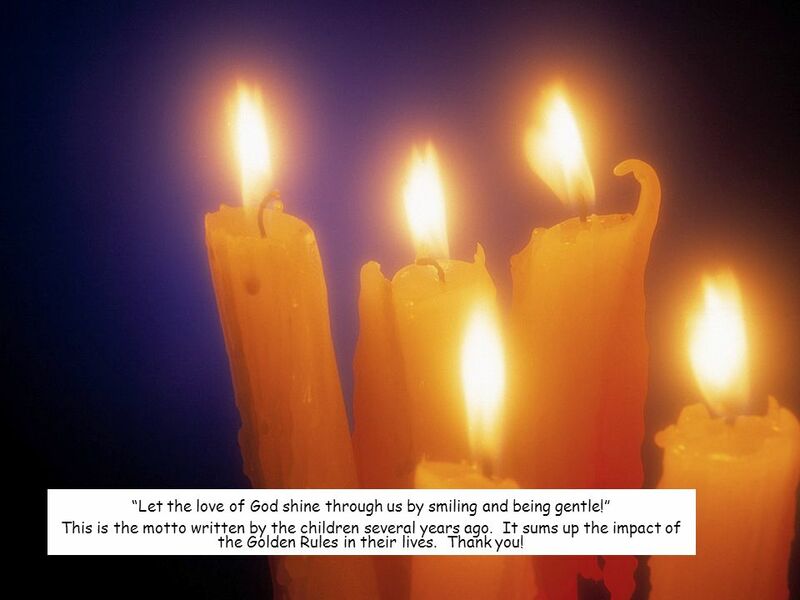 13 “Let the love of God shine through us by smiling and being gentle!” This is the motto written by the children several years ago. It sums up the impact of the Golden Rules in their lives. Thank you! 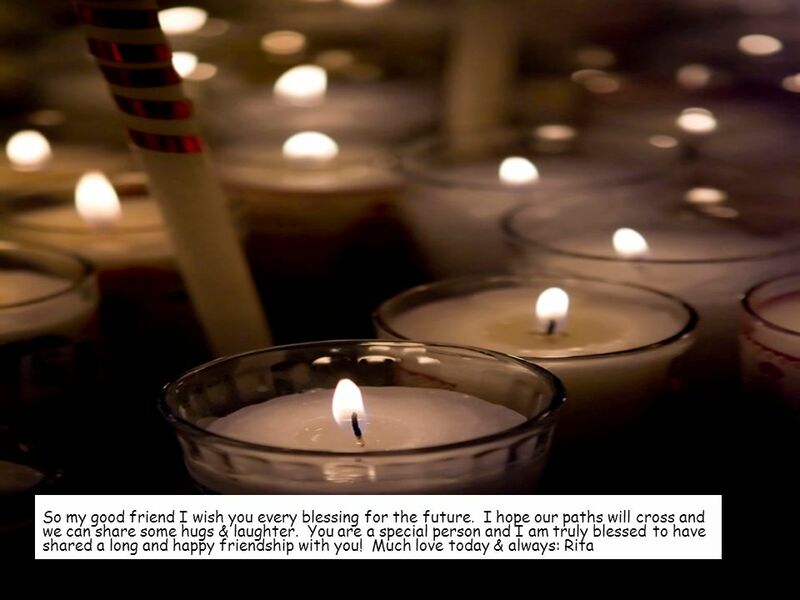 14 Well my dearest Jenny, today is a time for memories and also for looking forward. I’m not sure what I will do next but I’m taking some time out to enjoy a little bit of freedom. So life will continue to the full now that I’ve grown up enough to leave school!! Download ppt "Dearest Jenny I’m finally getting round to all my thank you things after 27 years of serving Christ the King School! You were such a big part in shaping." Dear God, I'm writing to say I'm sorry For being angry yesterday When you seemed to ignore my prayer And things didn't go my way. The Book Of Your Life. Each day, life offers you a blank page in the book of your existence. Your past is already written & you can’t change that; in. A Letter from God. We need to talk. Can you imagine what air would cost, if someone else provided it? I will always provide for you. In the Name Colossians 3:17. IN THE VALLEY I GROW. In the Valleys I Grow Sometimes life seems hard to bear, full of sorrow, trouble and woe. It’s then I have to remember that it’s. Fruits of The Spirit. Outline What is the Spirit? What is the Spirit? What is fruit? What is fruit? What are the fruits of the Spirit? What are the fruits. What God means to me… A collection of thoughts from G-Force Celebration, 27 th April 2003. Special Places Class JM Assembly WALT: Investigating places which people from all over the world regard as special. Learning about places which Christians. The Book Of Your Life. Wednesday morning. WE COME TO GOD IN PRAYER This is the day the Lord has made; let us rejoice and be glad in it. Glory to the Father and the Son and the. What do you appreciate about the pastors? Pastor Howard prays over people to help them heal and is so caring.